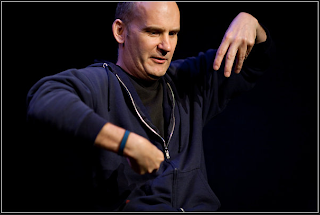 cryptonaut-in-exile: Upright Citizens Brigade Theater Opens in East Village with ... Ian MacKaye?! Upright Citizens Brigade Theater Opens in East Village with ... Ian MacKaye?! Instead, a sold-out 7:30 p.m. show featured Ms. Poehler, Mr. Walsh and Horatio Sanz, a “Saturday Night Live” alumnus, among a team of comedians who improvised sketches in response to monologues performed by the surprise guest Ian MacKaye, who formerly fronted the rock bands Fugazi and Minor Threat.